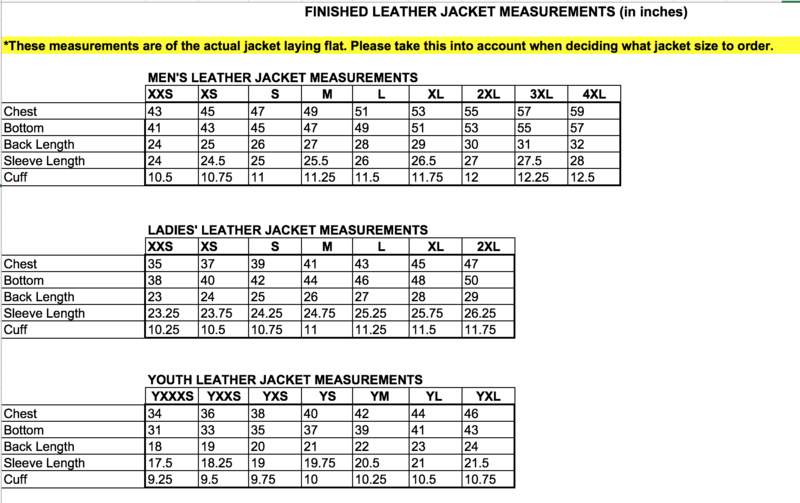 Please see attached finished jacket measurements chart. You need to measure your existing jacket chest under the arm hole, jacket laying flat and double the front chest measurements to get the all around jacket measurements. For example Men's, if jacket front chest under the arm measures 22.5", then multiply by 2 and it will be 45". Once you are ready, order online by clicking here. NO JACKETS WILL BE ORDERED AFTER THIS DATE!